In continuing with the Anatomy series (see Version 1 HERE), the second version addresses a trend I am sure you are familiar with. You might not even think there is anything wrong with it, but I do. I am referring to the phenomenon that someone I know refers to as “STOP-OVER MUSIC.” Well, what is Stop-over music? A simple answer is that it is “Cut and paste” music. That doesn’t help much, does it?! LOL! Okay, what I am referring to is a scenario where a gospel artiste takes the beats / music of a very popular “secular” song and the only thing he (or she) changes are the lyrics. In other words, he uses (or attempts to use) “sanctified” lyrics with a secular song, which may or may not have sexual undertones. Think of a typical “bump-and-grind” song and then for a minute try to imagine that same song with gospel music lyrics instead. Outrageous, isn’t it? 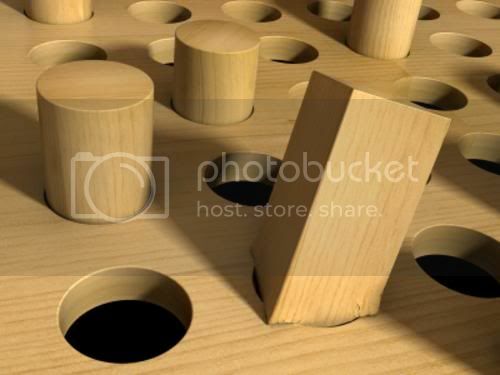 It just does not fit, just like a square peg can never fit in a round hole. No matter what you do to the lyrics, at the back of your mind, you are still thinking of the original secular song. And in fact, you might even catch yourself singing it sef. If you’re like me, and you like to distinguish between secular and gospel music, then you’ll appreciate the need to avoid creating stop-over music. I once heard a story (all these stories sef! Who knows if it is not just one BIG, FABULOUS FABU?!). The story goes like this: A group of young men decided to take Plantation Boys’ (TuFace Idibia, Faze and BlackFace) song “Plantation Boys” (abeg search YouTube if you no sabi the song) and they deleted the original lyrics and put their own “sanctified” lyrics (you should see the look on my face as I am typing this … not pretty!) But they did not stop there. Nope! Awon boys decided to go and perform their latest “hit” at a church (for their mind na gospel music now). So instead of “Aya ya ya, Somebody say Plantation Boys” they changed their own to “Aya ya ya, Somebody say Jesus is Lord” … and so on and so forth. Well, as you kuku know, “no matter how much you panel-beat Keke Maruwa (sorry … is it “Keke NAPEP” now? ), e no fit be Mercedes Benz” (I just made that up o!) or “if e no be Panadol, e no fit be like Panadol” (you should know this one from that Panadol advert). Somewhere in the middle of the song, awon boys come forget the remix they came to render and began to sing the original song with the original lyrics! LOL! Why bother? If you want to sing the original song, just do it and quit trying to cut and paste. It just doesn’t work. It conjures up images of a woman wearing six-inch heels on one foot and rubber slippers on the other foot and trying to cat-walk in a crowded bus-stop. You know the agberos won’t keep their comments to themselves. Which one you dey?! LOL! I wonder if awon boys got invited to come and “minister” again. *evil grin* Better still, I want to watch a “Where are they now?” episode on those guys. Na real wa! Likes: The introduction caught my attention, especially the deep male voice which basically summarized what the song was going to talk about (*wink*). I like the use of pidgin English. It just works with the beats and general flow of the song, plus I don’t have to worry about translation. (I think Pidgin English is Nigeria’s unofficial language … LOL!) I also like the message and how he shares the message without being too preachy. If you notice, I tend to like songs that tell stories, so I really enjoyed listening to this song (and have been listening to it a lot since I first discovered it). It seems Mr. Eddie knows how to work his vocals with R & B, because I can’t think of a better combination for this particular song. The background vocals were also not over-powering. Dislikes: The songwriting could have been a lot smoother. It seemed a bit rough / rugged in some places, but overall it was not a major distraction. Relentless you and this your gist, i had a good laugh about the plantation boys story..is it really true?? lol! Hehehe! I was hoping you would confirm the story for me now! I have no idea whether or not it is true. 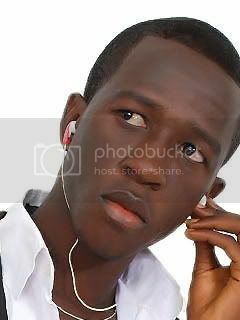 As I hear am, na so I narrate am o! I completely agree with your observation about what you referred to as 'stop over music'. I believe artistes who do it either lack creativity or just plain lazy. I downloaded Mr Eddie's song. The intro makes sense a lot and the tempo of the song is very relaxing too. About what you said, it's just not right. If you're singing Gospel stick to it, if it's secular stay there and stop deceiving us. Thing is when one hears a 'real' gospel song, you can't miss it. And the thing is, one never gets tired of them easily unlike 'Awon boyz'. lol! I couldn't have said it better myself. I just wish the artistes knew this and cared enough to refrain from doing it over and over again. hmmm...I actually love this song, because the lyrics tell a story I know a lot of people, including myself, can relate to. I wish more fathers would 'come home' indeed! Nice song, like the chilled out feel of it very much. Thanks for sharing! You love the song, Renny? Yay! Yes, the lyrics stand out in your mind because although "prodigal fathers" (as he calls them) are common, you don't really hear people sing about them in "gospel music" in such a direct way. So kudos to Mr. Eddie for that. LOL at arranging the song together. In my dreams now, I don arrange the whole albums sef. LOL! Thanks a lot for the feedback and the encouragement. I really appreciate it. All the best with your music. Please keep me posted on any new songs you release. Cheers!